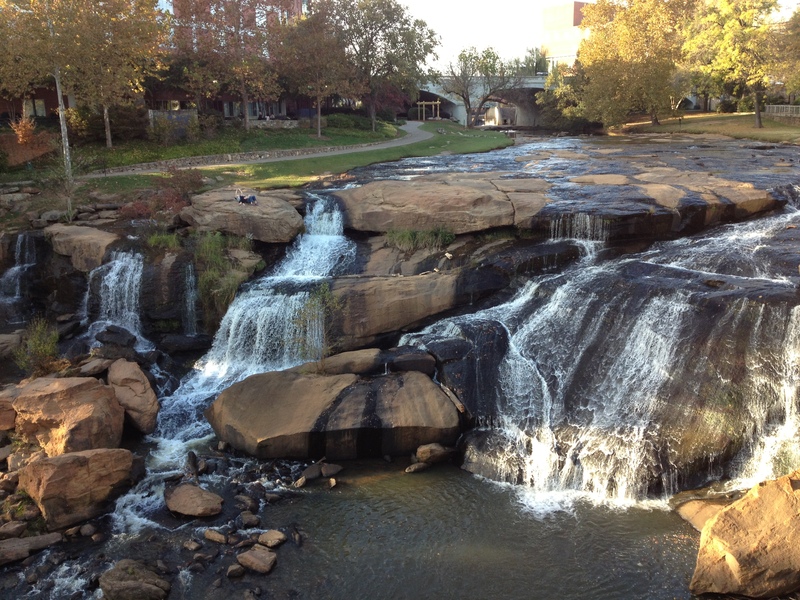 So this past week, I took a trip to the EdTech conference in Greenville. I was my first time there, since I don’t usually get a chance to go to the techie stuff–don’t ask me why, education just tends to compartmentalize. Since I was going to get an award, it was tougher for the powers that be to turn down my travel request. It almost didn’t happen. It started last year, when one of the great techs in our district sent me an email. “Try this out. I think you should submit something,” the email said. “What the heck IS this?” I thought. I read through the application, and it seemed straightforward enough–put together the selling points of a classroom idea using technology for a group of people who see that stuff everyday, and whose job it is to recognize good things. I wasn’t really sure I had anything. I’m not a sell-yourself kind of girl. I tend to just go in my room and teach. Let me qualify that. I teach based on research in my field, data of my students, and I do use technology in some form every day. I just don’t put it out there for general consumption, usually. What happens in the room, stays in the room–unless it’s a collaboration. Anyway, I filled out the forms using my podcasting project “Books from the Bridge,” and promptly forgot all about it. This fall, another email arrived with the good news that I was the winner in the high school category. Huzzah! I got to walk the beauty of that which is downtown Greenville in my off time, while going to see sessions on flipping the classroom, using new apps, making student galleries, and others. And don’t forget the vendors! Lots of new stuff to see, along with improved versions of the tried and true. I had great company in the form of three great techs from our district: Cindy, Patricia, and Deon. I racked up a load of great gifts with my award (They really outdid themselves there). And I didn’t misbehave once–unless you count the fun I had in the hotel gym or the photo booth at the conference.